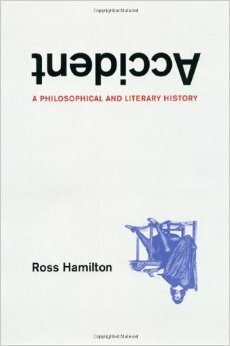 Ross Hamilton's Accident: A Philosophical and Literary History, is a highly erudite comparative study, treating thinkers and artists from Aristotle and Sophocles to Wittgenstein and Buster Keaton. Displaying not only great literary-historical, comparative, and philosophical breadth but also rich interpretive depth, this study demonstrates something that could be called prismatic ingenuity, illuminating multiple aspects of "accident," many of which are far from obvious. Hamilton explores the concept of accident with reference to a wide range of phenomena, including mutability, substance or essence, plot, transcendence, conversion, transubstantiation, probability, universal law, and sensibility, to mention a few. In doing so, he makes a persuasive case that in the modern era, accident replaces substance or essential being as the primary determinant of human identity and meaning. 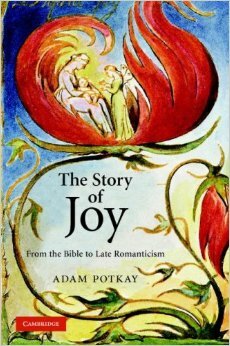 Beautifully written, with verve as well as precision, Adam Potkay's The Story of Joy examines the changing meanings and fortunes of the concept of joy in history, literature, and film. Offering a substantial and scholarly treatment of a neglected topic, this book is also quirky, interesting, and a real pleasure to read. Its arguments are clear and cogent, and it makes very helpful discriminations between related affective states. The author deserves to be congratulated for an important, genuinely illuminating contribution to the study of emotion as well as to literary history.